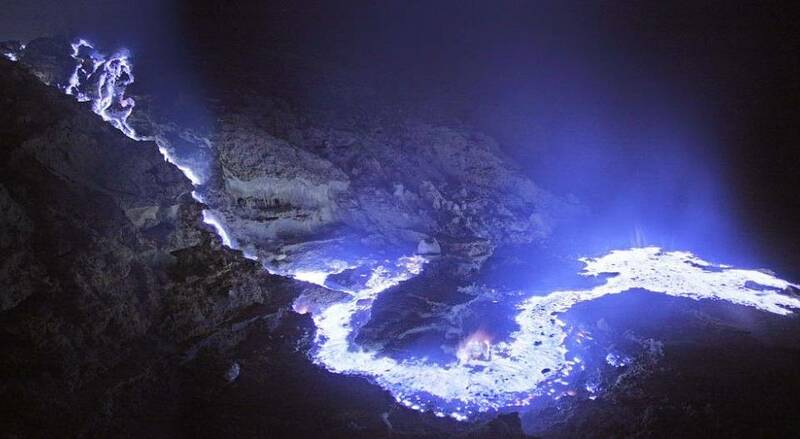 As often told, it is said that the blue flame phenomenon in Ijen crater is one of only two places in the world, it invites visits from tourists from all over the world throughout the year, on the internet there are many photos scattered about how amazing this phenomenon is, why do you not here to see it right away? Ijen Crater is in the form of a neat caldera such as carvings where inside is a giant sulfur lake in turquoise, in Indonesia, there is no beautiful crater beside in Kelimutu, East Nusa Tenggara. 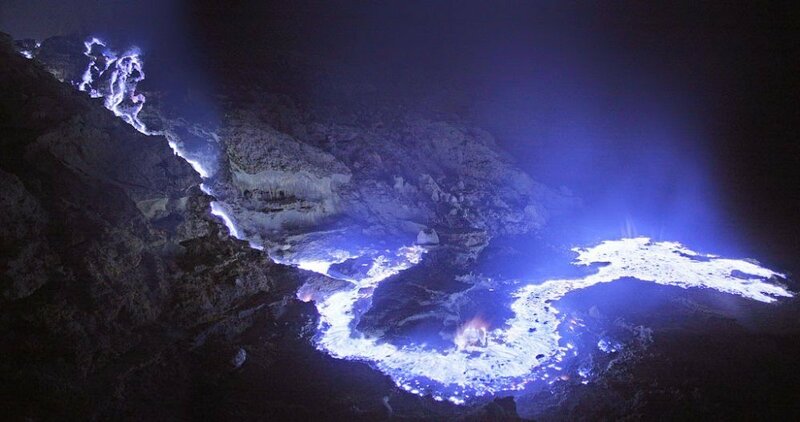 After witnessing the phenomenon of blue fire, tourists will usually rise further up to await the sunrise and capture the Ijen crater from above. Tourists go up to the Ijen crater usually at night when they don’t see anything other than the light from the flashlight, but when walking down the journey the scenery of the Ijen mountains will greatly spoil the eyes and become an interesting photo object, the peak of Mount Ranti that seems to float on clouds, pine forests, and community plantations seen in the distance are some of the things that can be seen and perpetuated. How much do you think the normal load can be lifted by someone weighing 60 kilograms? In Ijen Crater it is commonplace to find where a traditional sulfur miner lifts a basket of sulfur weighing 80 – 120 kilograms loyal day, now some of them provide trolley services for those of you who don’t want to walk to reach the top. The closest access to reach Ijen crater is from Banyuwangi (1-hour drive), in Banyuwangi itself there are various accommodations to visit, if you come from Jakarta or Kuala Lumpur, now there are direct flights to Banyuwangi. Banyuwangi is also the closest access to reach Bali. On the other side of our website you can find various tour package references that are temporarily only available in Indonesian but don’t worry if needed we can provide travel info or tour package deals in English, please chat us in WhatsApp or send us and email to [email protected], our travel consultants will help you plan trips and provide you with various info to you to get the best plan. [PROMO LIBURAN MEI] Banyak Tanggal Merah, Banyak Promo!